Charlestown, Nevis — (Friday, August 26th, 2011) Premier of Nevis and Minister of Tourism, the Hon. Joseph Parry expressed satisfaction with the U.S News and World Report’s Travel section, which ranked St. Kitts-Nevis as #1 in Best Caribbean Vacations among 16 other Caribbean destinations in a recent publication. 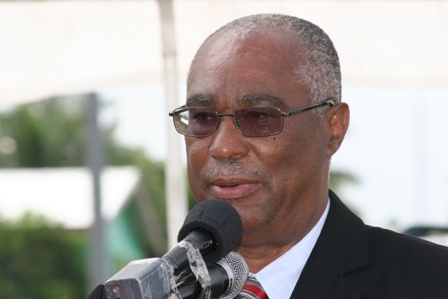 “I am very pleased that the island of Nevis has been recognized by an International media house for the many aspects that this tranquil island has to offer its visitors,” said Premier Parry. He also applauded The Ministry of Tourism, the Nevis Tourism Authority, all of the island’s Hotel accommodation’s and private entities associated with Tourism on Nevis. It also noted that seclusion might be a draw to Nevis as the island is without a single streetlight, and the island is shy and lush and showcases the opulence that has become this nation’s calling card. The article also informs prospective visitors to Nevis how to save on the Twin island destination by packing golf clubs, pick the off-season to travel and to pass on some of the sightseeing excursions. About dining on the island, the article referred to Chevy’s Calypso Beach Bar and Grill in Nevis as a beloved eatery. With regard to the best things to do in Nevis it listed Oualie Beach Hotel in St. James Parish as the #2 thing to do on a visit to the Federation. The Oualie Beach Hotel, it said, offered tourists good snorkeling, rental kiosks, windsurfing, mountain bike riding and water taxis that would take them conveniently to St. Kitts in minutes. 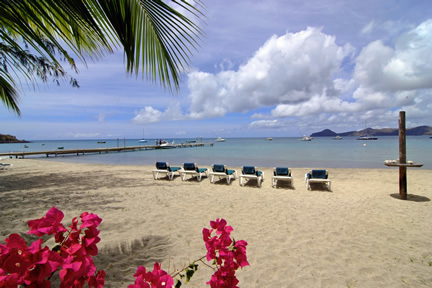 To view the U.S News World report on Best Caribbean Vacations visit www.travel.usnews.com.